Scanned from the vol 1 of the English version of the Kino no Tabi novel. 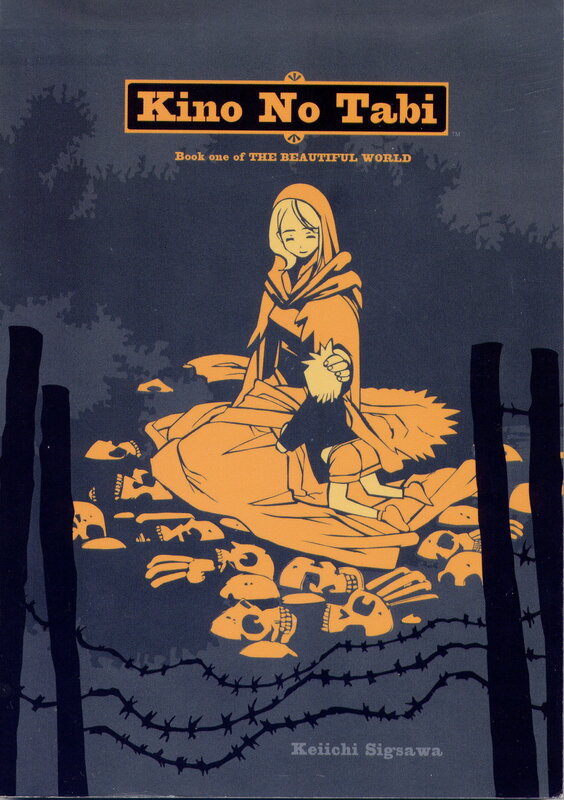 This is also used for the chapter cover for "Country of Peace". It's a beautiful cover. Such different art compared to everything else that Kino is renowned for. Great scan!